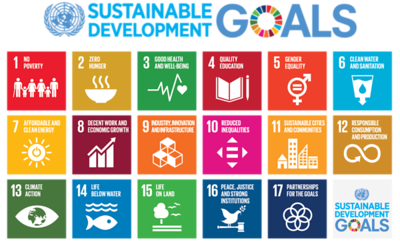 Three years into the implementation period of the 2030 Agenda for Sustainable Development, is Asia Pacific on track to meet the Sustainable Development Goals (SDGs)? According to ESCAP’s recent Asia and the Pacific SDG Progress Report, the answer is yes for only one Goal, unlikely for many Goals, and probably not for a few Goals where the region is moving in the wrong direction, most notably on inequality. While there are major variations across the vast Asia Pacific region, between and within countries, the overall trajectories are clear and point to areas where urgent action is needed. ESCAP’s analysis shows that inequalities are widening in terms of income and wealth, opportunity and access to services. Income inequalities grew in almost 40 per cent of all countries. Large disparities exist in access to education, bank accounts, clean fuels and basic sanitation. Poor and disadvantaged groups are disproportionally impacted by environmental degradation, including diseases from air pollution and natural disasters. Inequalities in income and lack of employment opportunities, along with poverty, landlessness, and vulnerability to natural disasters and climate change, all heighten the risk of extremism and conflicts that could unravel development gains in Asia Pacific. This is a concern as disaster risk is outpacing efforts to build resilience in Asia Pacific. A person living in the Asia Pacific region is five times more likely to be affected by natural disasters than a person living in any other region. Poor people are disproportionately affected by such disasters: between 2000 and 2015 the low and lower middle-income countries experienced by far the most disaster deaths. Extreme weather events, including slow onset disasters such as drought, are undermining food security. They can lead to hunger among the most vulnerable, particularly those in rural areas working in agriculture. Yet disasters also widen inequalities in urban areas. Climate change will continue to magnify and reshape the risk of disasters and increase their costs. As a result, risk governance needs to be strengthened, investments in disaster risk reduction increased and the fiscal burden of disasters better managed to avoid a disproportionate impact on the poor and vulnerable. With over half of global GHG emissions coming from Asia Pacific, countries in the region also face the considerable challenge of decarbonization. However, the necessary energy transformation in Asia Pacific is still in an early stage. Progress on achieving SDG 7 is insufficient. Major gaps remain between current trajectories and what is needed to meet SDG targets and wider aspirations from the Paris Agreement on climate change. While access to electricity has reached 90%, up from 70% in 1990 at a time of major population growth, the progress in access to clean cooking fuels has been slow. The significant growth in renewable energy has been outpaced by growth in energy demand and fossil fuel use. There are signs the region has begun to decouple energy use and gross domestic product, an important step for energy efficiency, but again progress is too slow to meet energy efficiency targets under SDG 7. The energy transition pathways to 2030 will require full alignment of national energy policies with SDG 7, the development of national energy transition roadmaps, a quantum leap in the financing of sustainable energy, especially from the private sector, and the rapid phase out of fossil fuel subsidies. Over the past few decades, Asia Pacific has succeeded in dramatically reducing poverty, increasing levels of education, extending life expectancy and building fast growing and resilient economies that have largely weathered the global financial crisis. The region is at the forefront of many technological developments that will shape the future of manufacturing, work and daily lives. But leaving no one behind will require re-aligning investments to deliver the 2030 Agenda and targeted policies for the most vulnerable. This includes addressing the challenges of population ageing in Asia Pacific, where one in four people will be 60 years or older by 2050. It also includes building disability inclusive societies for over 600 million people with disabilities, to address their disproportionate rate of poverty, remove barriers to education and work, and enable their full and effective participation in decision-making processes. It calls for achieving safe, orderly and regular migration to address the challenges faced by over 60 million international migrants in the Asia Pacific region. It requires investment in building resilience and in promoting innovation. And it demands eliminating gender disparities, closing gender gaps and investing in women, including by promoting women’s entrepreneurship. What ESCAP’s work over the past year has shown is that the region has not yet put in place the policies that will drive the transformative change needed to deliver on the Regional Road Map for Implementing the 2030 Agenda for Sustainable Development in Asia and the Pacific. Recent history has demonstrated the region has everything it takes to change course. Whether this will happen soon enough and fast enough to achieve the SDGs remains an open question.